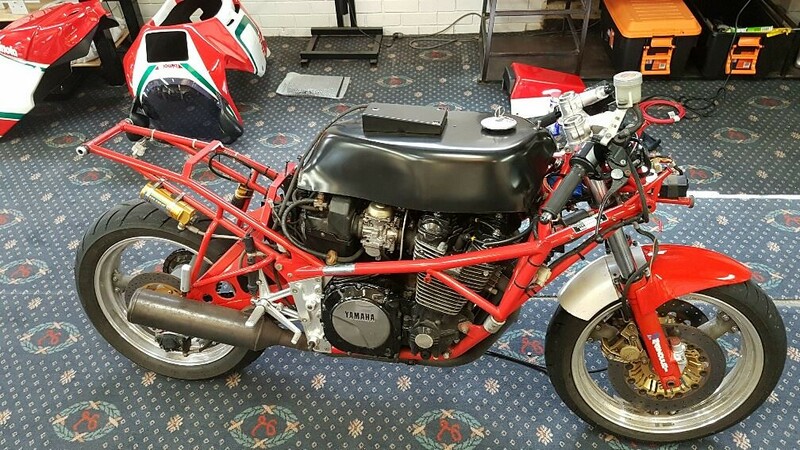 Bimota Forum :: View topic - Advice Please. Posted: Thu Nov 02, 2017 6:50 pm Post subject: Advice Please. Been casually on the hunt for my first Bimota for a bit now. Mainly been focused on learning and researching models and what is out there. Starting to narrow down things. Looking for something "useable" on todays roads. Not looking to put a bike in the living room forever, or thinking about daily riding. More of a point A to point A type "toy". But will need to be ridden to some fun roads. That is causing me to look at a lot of Yamaha powered bikes. My question mainly is to ask about the what people would think is a better fit (And why). A YB7, YB8 or Deci? I know the engine size varies A LOT. I will say that the 400cc idea appeals to me, but unsure if I am just waxing poetic about a small, light revy, rare bike.....And in reality it is unsuited for my needs. Would I be better off with the 1000cc? Thanks so much for taking the time to talk, educate and share past experiences. I think you are waxing about the smaller displacement, but this strictly my opinion as I have not ridden small displacement Bimotas. But then again, I prefer liter bikes. From my experience I would suggest to take a look at SB6R. This is the model that got me hooked on the brand and the only reason I didn't end up with one is because the dealer sold it from under me. I really prefer the look of the YB4/7/8 to the Dieci, but probably be a bit superficial. Have come across a few SB6Rs and figure they would suit the mechanical needs, but they are an era too new for me right now. I do fear that the 400 will feel too buzy and the "fun" will grow old. Might try and find a YB4. They might slit the difference, and they are a rather important bike. Not looking for something to light my hair on fire. I get that a modern 600 with a good rider will outpace these things. I am kind of a special framed bike nerd. Have a Yetman 305cc Honda that is about 200 pounds. Also a Seeley framed SOHC CB750. Figured I have something from the 60s, the 70s, so now off to the 80s. sounds like you need a steel framed bike to match the rest of your collection . 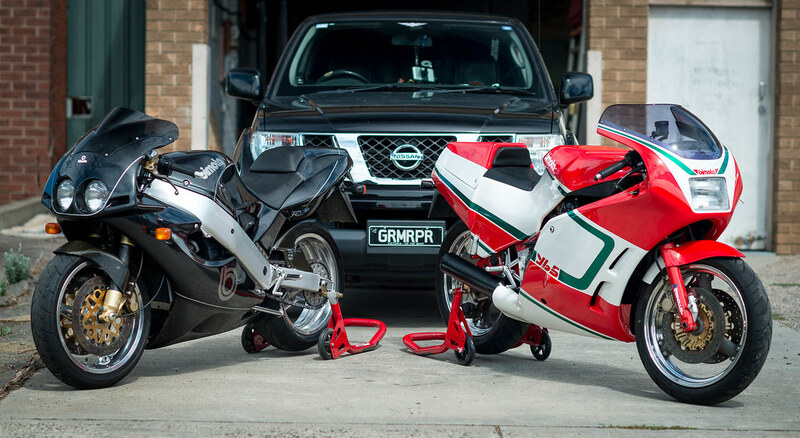 I bought a YB5 earlier this year, totally different beast to the bikes you are looking at, fj1200 engine, sublime steel frame, and very nice bike, and only a total of 208 produced, 12 kits were sold and 196 complete bikes. 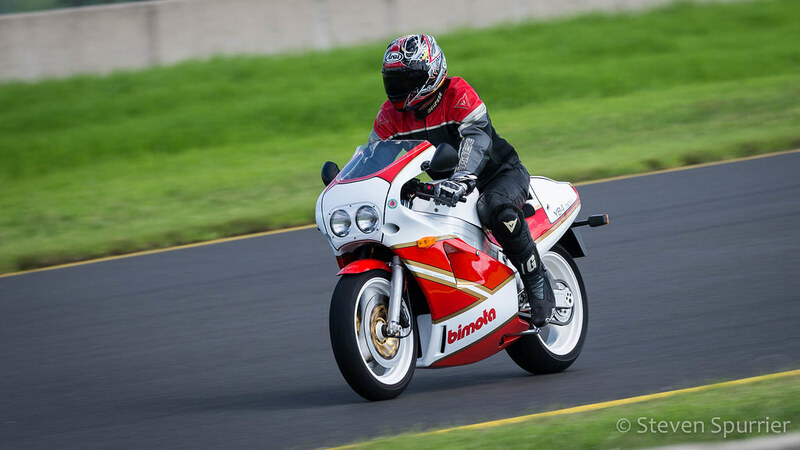 I have also been thinking of a YB6 or YB8, there have been a few YB7's advertised in Australia, and i have considered them, there is a review online for a YB7 and the review wrote, it could be the best road bike Bimota ever built! After seeing Shane's YB4 at the festival of speed earlier this year, i'd also love one of those, but very rare to find..
My YB5 its first strip down, having a good look at what i bought..
Just think I want something more 80s racer.